How’s the local weather like today? 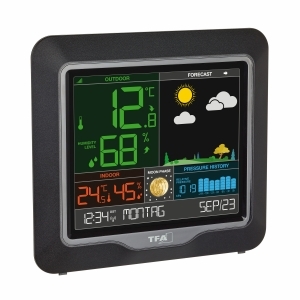 Just a glance at the "SPHERE" wireless weather station and you’re always fully informed. 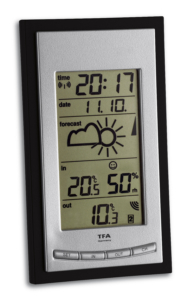 The "Color Sharp" display offers a high-contrast display with brilliant colours and three different settings. The display varies in sensational 600 hues during automatic colour change. 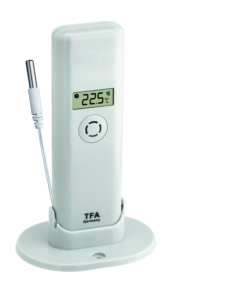 You can also adjust the display colour to the temperature measured by the transmitter. Then 22 different shades of yellow appear in warm weather over green and blue to violet at minus temperatures. Or you choose a solid colour. The brightness can be regulated in three stages. 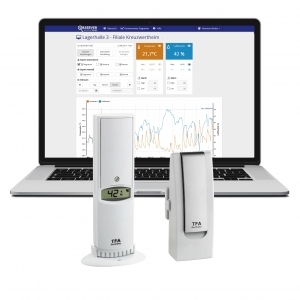 Outdoor temperature and humidity are determined by a separate wireless transmitter on site. 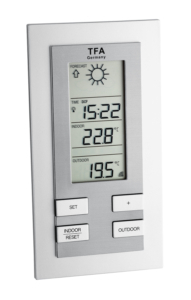 The stored maximum and minimum values for the outdoor temperature are permanently displayed. 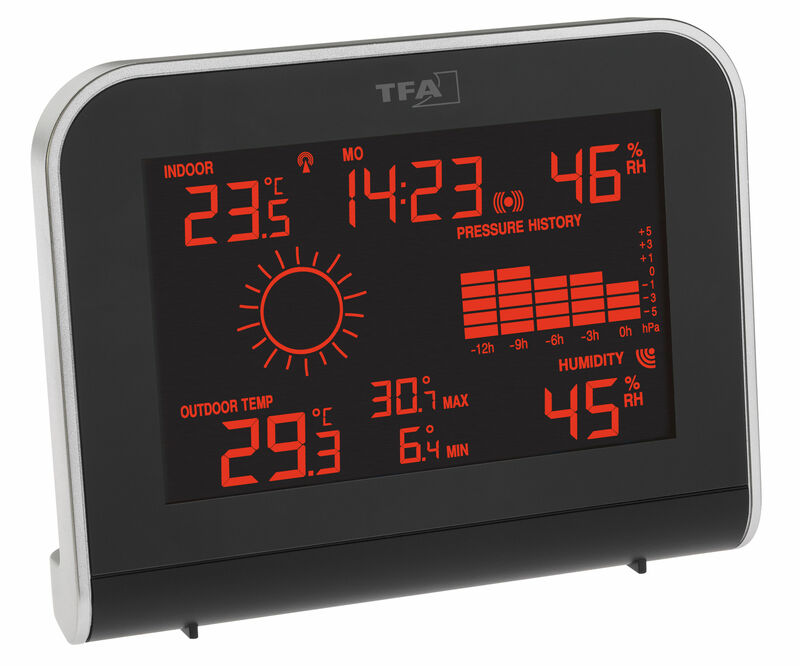 An integrated electronic barometer measures the air pressure; The course of the last 12 hours can be observed on a bar chart. Sun, clouds or raindrops – based on the barometric pressure changes, the weather symbol gives a forecast for the upcoming weather. 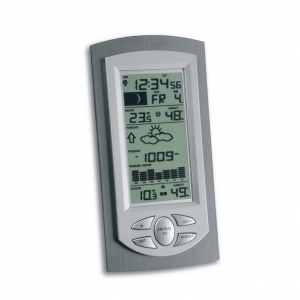 To control the indoor climate, the temperature and humidity are displayed. Through targeted heating and ventilation you create a pleasant and healthy living environment and even save on heating costs. 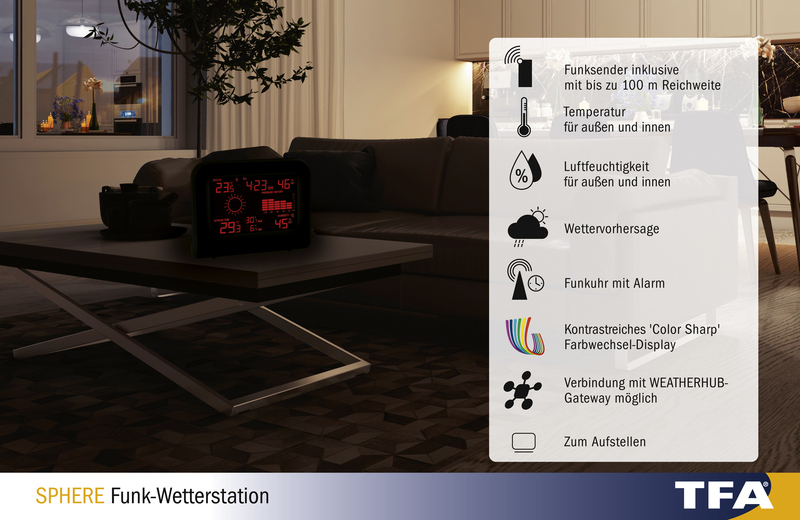 Connected to the WeatherHub SmartHome system, the measured values of "SPHERE" are easily retrieved from your smartphone wherever you are. 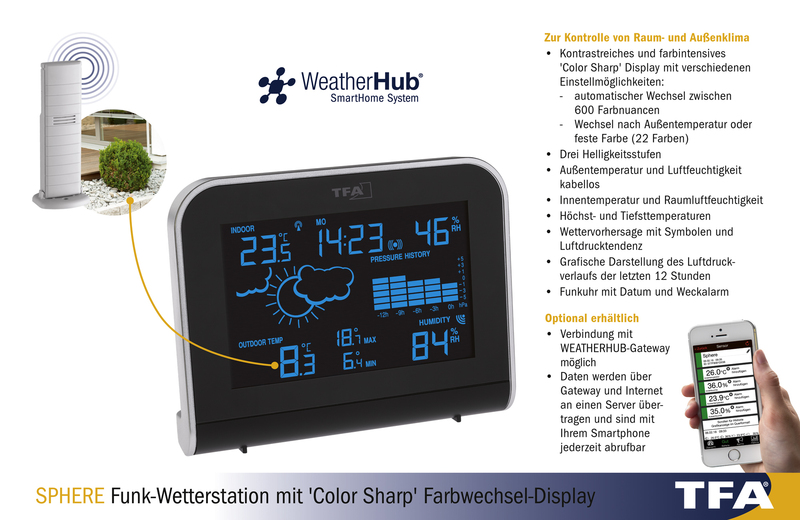 The WeatherHub SmartHome system is sold separately.